featured resources: enterprise budgets and a farmhack shop! Second, and brand spankin’ new, Farm Hack’s Open Shops! You have to check it out. Dozens of amazing hacks with how-to’s, plans, photos, etc. 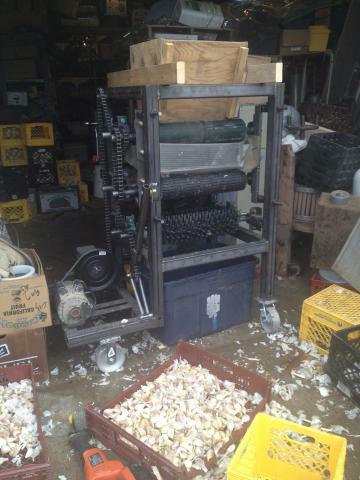 The garlic clove separator, pictured here, among them.